Kristopher Neil Allen is a Jacksonville, Arkansas-born American singer, musician as well as a songwriter best known for being the winner of the eighth season of the reality television show “American Idol”. Born on 21 June, 1985, he Kristopher is better known by his stage name “Kris Allen” professionally. A well-known artist who has managed to flourish in American music industry, Kris has been active in his profession since 2007. 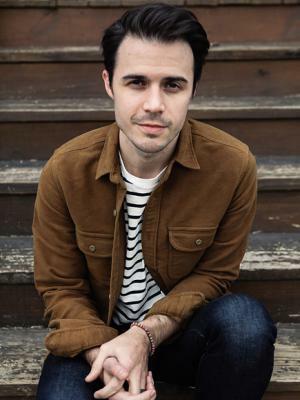 A prominent name in the sector of music, one may wonder how rich is Kris Allen presently? As estimated by sources, Kris Allen counts his net worth at an amount of $3.5 million in early 2016. Needless to say, he has managed to amass his wealth by being involved in the music industry as a singer and a musician. Being the winner of a television reality competition show has also managed to earn a lot for Kris over the years, making him a multi-millionaire at present. Raised in Jacksonville, Kris was very keen towards music from a young age. He attended Mills University Studies High School, where he played musical instruments and also performed in the school’s orchestra. Kris learnt to play guitar by himself when he was only 13 years old, and he also plays the piano. He started playing guitar and actually singing publicly for years before finally auditioning for “American Idol” in 2009. He had also released an album entitled “Brand New Shoes”, before the competition, but which was able to sell only 600 copies in the market. As Kris went on to win the reality show, thanks to his impeccable singing talent, he released his new album “Kris Allen” later that year. Kris was signed to Jive Records for two years from 2009, and the self-titled album that he released in 2009 became successful enough to get listed at number 11 on the US Billboard 200., and his subsequent singles “Live Like We’re Dying”, “No Boundaries” and “Heartless” became very popular in the market. Eventually, the alternative rock and pop rock singer went on to sign with RCA, another record label and then released his third solo album entitled “Thank You Camellia”. Until today, he has released four solo albums including “Horizons” and all of these have garnered success to Kris as a singer. Currently, he is working on his upcoming album entitled “Letting You In” which is in verse for release later in 2016. Obviously, all of these projects have earned well to make Kris a multi-millionaire musician. During his career as a musician, Kris has been rewarded many a times. In 2009, he was nominated in two categories in Teen Choice Awards including Choice Male Reality/Variety Star and Choice Summer Tour along with American Idol Top 10 of its eighth season. He was also nominated for a People’s Choice Awards and a Billboard Music Awards. As for his personal life, Kris now leads his life as a married man and a father of a son. He married Katy O’Connell, his high school girlfriend in 2008, and the couple welcomed their first child in 2013. As of now, Kris awaits his second child to be delivered in 2016. For now, Kris enjoys his career as an accomplished musician while his present net worth of $3.5 million caters to his and his family’s daily life. 1 Father of a son, Oliver Neil Allen, with his wife, Katy O'Connell [July 30, 2013]. 4 Has a younger brother name Daniel. 5 Brother Daniel tried out for Idol with him. 6 When asked by a reporter what the one thing he would change about himself would be, he replied "I want man chest hair," rather than the few patchy hairs he actually has. 7 Is the first married American Idol winner. 8 Roommate on "American Idol" was Adam Lambert. 9 Self-released an album in 2006, entitled "Brand New Shoes". 10 Business Major at the University of Central Arkansas at Conway. 11 Favorite male artist is Jamie Cullum. 12 When he was 13, he taught himself how to play the guitar, piano, viola and the ukulele.